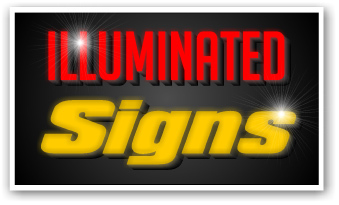 Signs Plus, LLC is your lighted and illuminated signs experts with convenient servicing locations in Nicholasville KY, Lexington KY, Richmond KY and Somerset Kentucky. Outdoor lighted sign cabinets are electrical signs that come in a specially made cabinet. Lighted or illuminated signs are the most popular outdoor signs on the market. Signs Plus, LLC understands that the first impression customers often get of your business is your lighted and illuminated signage. Our sign experts take the time to help you create a lighted and illuminated sign that is unique to your competition. Outdoor electrical lighted sign cabinets are normally available in three different options – Wall, Monument, and Pole. Signs Plus, LLC uses superior craftsmanship and materials to precisely meet your design and installation requirements. Your lighted and illuminated sign can be either single faced or double-sided, with either a flat face or a raised face. Either way, your lighted illuminated sign is highly visible from great distances. And, our lighted and illuminated signs provide years of durable operation. Illuminated and lighted signs built by Signs Plus, LLC have the dual responsibility of promoting your business in both the daytime and nighttime. In the daytime your sign uses unique colors, lettering and logos to get your location seen. And, at nighttime they thrust massive amounts of light into the darkness to steer your customers into your location. Lighted and illuminated signs allow your business to standout from your competitors. While your business location is always the main key to success, your lighted and illuminated signage can distinguish you from your customers. Need help designing your lighted and illuminated sign? No problem…our design staff can work with you and provide creative options at NO cost. Signs Plus, LLC’s pricing is guaranteed to be some of the most competitive around. And, all our lighted and illuminated signs are installed FAST! Most installations take only a matter of a few weeks…not months. All Signs Plus, LLC signs come with a full warranty, ensuring that all the components of your sign are structurally sound…or we’ll replace any defective parts absolutely FREE. 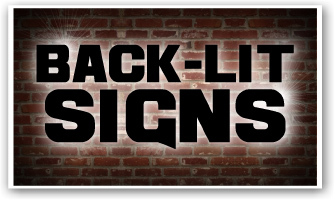 Contact Signs Plus, LLC today to discuss your lighted and illuminated signage needs. We provide detailed information and all project quotes are free of charge.